I promised I would and I finally have. Seen The Final Destination in 3D that is. 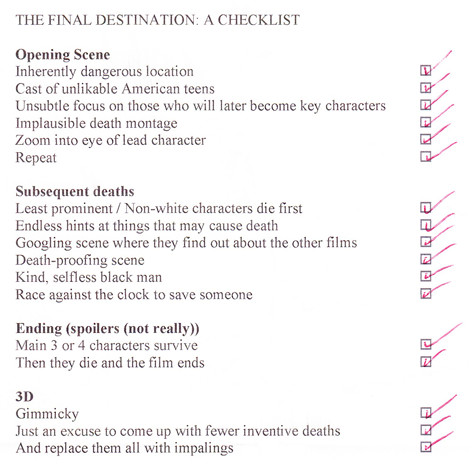 There’s really only one way to review a Final Destination movie so without further ado, BRING ON THE CHECKLIST.